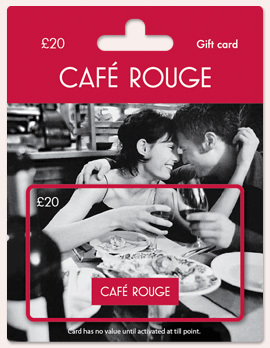 Café Rouge have kindly given me £40 vouchers to give to one very lucky winner. Why not check out their website at http://www.caferouge.co.uk/. You can become a fan on Facebook at https://www.facebook.com/caferouge.co.uk and follow them on Twitter http://www.twitter.com/Caferougetweet. Entry is via the Rafflecopter form below. The competition will be running from 9.30am on 1st October 2012 until 4am on 31st October 2012. It is open to UK residents only, aged 18 years and over (you will be required to declare your date of birth in order to claim your prize). Winners will be drawn at random on 1st November 2012 from all valid entries. the 2 course evening menu for £10.95 is brilliant value so i would take my son and hubby and still have money left for some wine! 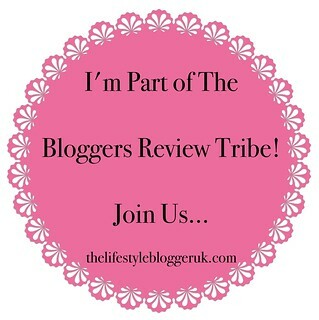 Fab prize would love to treat my family to a meal out ! id save it for xmas, and me and my hubs would get something off the christmas party menu. I've had the Toulouse sausage before, but it was years ago so I'd love to have it again! I'd be treating myself to Le Petit Dejuner Anglais, aka a full English! Salade César au Poulet Grille as a Main course. I would probably choose chicken and frites but there is so much to choose from! Moules Frites and a nice glass of white wine for me... ah bliss! and a glass of dry white wine!!! I would love to win, I'd try tagine de poulet! Thanks mrb! I'd have Steak Rouge 250g. Garlic and rosemary! It would have to be steak for us & they have one at the Trafford Centre & in Liverpool so easy to get to too! I'd have the Gruyère cheese and chives bound in crème fraîche baked on French bread. SAUMON A LA NICOISE - sounds good for a light lunch. Poulet à la Sauce Provençale sounds delicious. BOUILLABAISSE for me, love it, so tasty. Moules Frites and a glass of wine...it will bring back wonderful memories of France! I`d have the Salmon and some wine is I was lucky . I'd love to try the Côte de Boeuf on a very rare romantic night out with my overworked other half! i will treat my children to cakes. it will be great for my son birthday in nov! I would have demi poulet roti and then apple tarte tatain. We haven't eaten out in well over a year so would love this. I'd have TARTINE À LA GRECQUE as I'm a vegetarian. Very nice to see some great veg options. Cafe Rouge is my favorite restaurant! I'd love the SALADE PAYSANNE, one of my favourites. I would have the set menu, so we could enjoy a great family meal with the voucher. SALADE DE BOEUF and red wine for 2 !! I think the Poulet Breton is a must. I've got a sweet tooth-I'm a real pud girl so I'd just work my way through the dessert menu. I'd start with tarte au Citron, follow with a Delice au Chocolat and finish with a Crepe Chocolat Banane. Yummy- fingers crossed! The BEEF BOURGUIGNON because i'm classy!!!!!!! Love the main course salads - healthy and delicious! Toulouse Sausage..Ive had that before and its lovely. Chicken Tagine followed by Tarte au Citron - I'm really hungry now after looking at that menu!! Would have to be Moules Marinières followed by a big steak with garlic butter. Nomnomnom! I would have the garlic bread batons, followed by the chicken tagine! It all looks delicious!